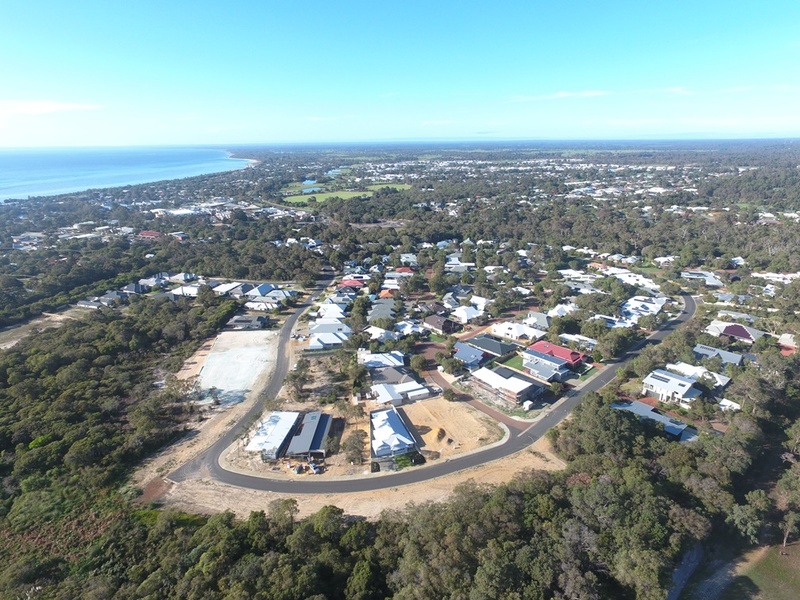 A new stage of residential subdivision has been completed and constructed in Naturaliste Heights Estate in Dunsborough. This prestigious residential estate, on the doorstep of the Dunsborough Town Centre, has been very popular. Harley Dykstra was appointed to obtain fresh subdivision approvals, undertake some revisions to the design of the estate, and also project manage the implementation and construction of the next stage of 13 lots within the estate. Harley Dykstra coordinated all of the required Approval associated with the subdivision conditions and specifications, and worked closely with a local team of environmental landscape planners, fire management consultants, geotechnical consultants, and APH Civil Contractors to deliver the new subdivision stage. During the construction, particular care and attention was needed for the maximum retention of existing vegetation within the development as this is a significant attribute and feature across the estate. There was also some difficult soil areas encountered and special design solutions were needed which were developed in conjunction with the project engineer, geotechnical consultant and civil contractor. This next subdivision stage will also deliver improvements and upgrades to the public open space reserve that is located at the entry to the estate. The photographs below illustrate the quality of the residential development that has been delivered. There are already numerous pre-sales that have taken place. Harley Dykstra will be working with the subdivider over the coming months to develop plans for the next release. Overall, this project has provided Harley Dykstra with an excellent opportunity to demonstrate how town planning, project management and survey skills and knowledge can combine to deliver excellent results on the ground.